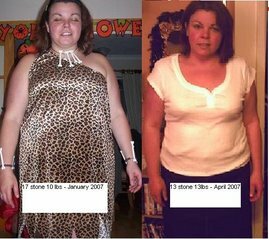 So many times I've hoped and dreamed of the wonder of a magical pill that could take away the struggle of weight loss. It would seem I am not alone. Take a walk through any chemist or supermarket and you'll find shelves lined with with pills and remedies for the omnipresent blubber. Glance through a newspaper or magazine and ads will call out to you that their product will "boost your energy", act as a "fat burner"and "melt away the pounds". Who needs to worry about diet and exercise with products like these around? Everyday Diet blasts this myth. Fitness Trainer Tom Venuto writes: "There is no such thing as a pill that simply burns away body fat. Fat loss is primarily a function of negative energy balance (burning more calories than you consume). Even if such a "magic" pill did exist, it would not be a permanent solution to the obesity problem because it would be addressing the symptom (the fat) and not the cause (poor nutrition and lack of activity). Many products advertised today as "fat burners" are utterly worthless frauds. " He points out, however, that one group of products are effective - those with "thermogenic" agents. By raising the body temperature, they increase motabolism, thereby burning off calories as heat. Ingredients used tend to be natural herbs such as Ma Huang, ephedra and kola nut. Published, peer-reviewed studies have shown that this combination works synergistically for a thermogenic and a stimulant effect. 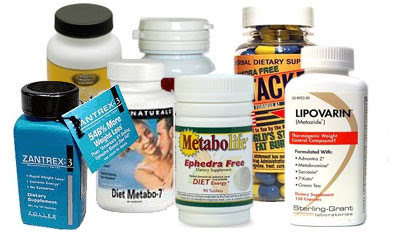 Ephedra and products containing it were recently banned in the US. It is a powerful stimulant with many dangerous side effects. Overuse can cause insomnia, palpitations, and jitteriness. Long term use can cause adrenal fatigue. Although it was relatively safe when compared to prescription drugs and other over the counter drugs, overuse and abuse has been known to cause trips to the emergency room and even death. While death would bring this struggle to a quick close, I don't think I'm prepared for anything so risky. It might seem old-fashioned and at times, a chore, but it seems that eating less and moving more is the way to go...and it's much easier on the purse to boot!